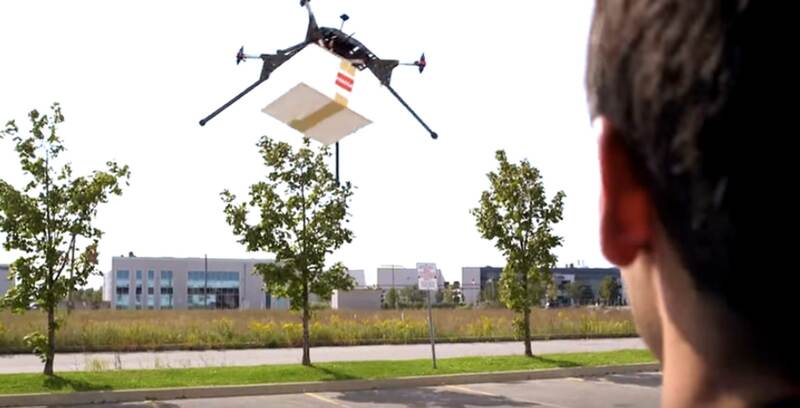 Drone Delivery Canada (DDC) announced it will launch its commercial operations in a 16,000 square foot facility in Vaughan, Ontario in 2019. Dubbed the Commercial Operations Center, the new space will allow for up to 25 drone operators to oversee commercial flights in both Canada and abroad. Further, the facility will allow for the testing and development of some of DDC’s next-gen heavy lifting cargo delivery drones. DDC says some of these drones will have wingspans over 25-feet and can carry capacities of 400lbs. “We are fully engaged in commencing commercial operations and require a robust operations center to house ‘mission control’ to oversee the flight of our autonomous drone fleet,” said DDC CEO Tony Di Benedetto. Further, Di Benedetto noted that the operation centre would act similarly to that of a commercial airline, with software that integrates into the active air space. DDC will begin moving into the new facility in second-quarter 2019 and aims to have the site fully operational by third-quarter 2019. Finally, the company said it plans to provide shareholders with additional information on the development of its 50lb payload ‘Falcon‘ drone and its 400lb payload ‘Condor’ drone soon.